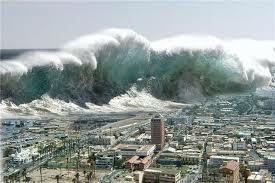 Tsunami’s are most often created by sudden movements on the ocean’s floor such as earthquakes or mudslides. They’re the backlash of displacement. This natural event mirrors the seismic wave of invalidation that sexual assault by fraud generates. And its devastation can overwhelm the victim. Not only do people who are harmed have to deal with the pain of betrayal and sudden sense of defilement, but the people around them frequently don’t relate to their pain or its cause. Disingenuous comments like, “what’s the big deal, just get over it,” and “you made the decision to be with them so don’t blame them,” rip at the very soul of a person who’s lost every thread of self respect as a result of someone’s sexual trickery. Those of us who experienced this phenomenon find a safe haven in discussing our issues with other survivors. And ultimately, we begin to recognize that people we considered friends may not have had the capacity for friendship at all. They were simply people we had common interests with or with whom we shared common events. We begin to understand their capacity for emotional empathy and we start to value that characteristic in the mindset of others. Our profound new awareness can change who we’re drawn to, and ultimately help us find happiness in new relationships. The trust issues of victims can be resolved by learning how emotional empathy drew them in and subjected them to a scam, and how valuable the trait of emotional empathy is in people’s interactions with others. Emotional empathy enables “emotional contagion,” the ability to sense the emotions of others and adopt them as our own. Without it, people can cause harm and not experience the pangs of guilt that should have inhibited their bad behavior. It’s one of the most important characteristics to find in the people you surround yourself with. As children, our circle of social contact and support is limited. We expect that our parents and family will care about us. When we experience emotional trauma, we may see their true nature for the first time, and doing so may tear us apart. As an enlightened, adult survivor, we can evaluate and chose the people we associate with now and in the future. Choosing them wisely involves determining who actually possesses the emotional empathy that creates real caring and maintains the bonds of love. Previous PostNew Sexual Assault by Fraud Case in IndiaNext PostPistorius Murdered his Betrayal Bonded Lover! Thank you so much for your kind words of support. You’ve made my day! This post is so true Joyce. 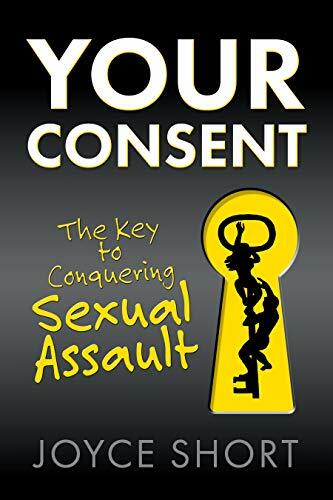 I was physically raped as well as emotionally raped and I lost a long time friend because she said very harsh things to me about what happened to me. Unfortunately I had to eliminate my exposure to her negative unkind comments. I feel a loss for the friend I thought I had. Invalidation makes you relive the abuse at full force all over again. And that is something a survivor cannot handle. Well stated about “invalidation makes you relive the abuse!” It’s very painful to recognize that “friends” who invalidate you aren’t really your friends!